Columbia blends cotton, linen, and viscose for an extraordinarily soft yet strong and supple fabric. The viscose fibers provide a subtle shimmer for a classy look on a surprisingly heavy-duty fabric -rated to withstand high traffic public spaces at 40,000 Martindale Double-Rubs. It also meets Oeko Tex Standard 100 certification, so you can feel comfort that Columbia has been tested to be free of chemicals known or suspected to harm humans of any size after production. 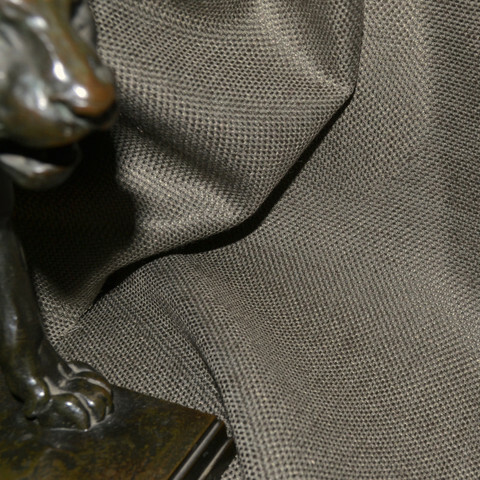 We highly recommend only professional green cleaning for your Columbia fabric to maintain its texture and luster. Washing in a home machine will shrink the fabric about 8% in length, tightening the weave and dulling the sheen. For regular care, a vacumming (preferably with an upholstery attachment) every few months will keep your upholstery looking its best over time. Dirt and dust are powerful contributors to the breakdown of natural fibers, so this simple step can extend the life of your fabric considerably. Oeko Tex is one of the oldest third party certifications, launched in 1992. The Oeko-Tex Standard 100 only tests the finished fabric, ensuring that certified products pose no risk to human health. Fabrics with Oeko-Tex 100 certification also have a skin friendly pH. Skin's natural pH is a tad acidic, and when it's eroded your defenses are down, leaving you vulnerable to bacteria, moisture loss, and irritation. Oeko-Tex certified fabrics will not create these stresses, giving them a lovely feel on your skin.